FILE - Michael Cohen, President Donald Trump's former personal attorney and fixer, arrives at federal court for his sentencing hearing, Dec. 12, 2018, in New York. President Trump’s former personal attorney Michael Cohen, facing jail in just over two months, has been speaking with and providing information to federal prosecutors in New York, three people familiar with the matter told NBC News. According to those sources and public statements, Cohen was questioned about a donor to the president’s inaugural committee, Imaad Zuberi, who is a political fundraiser with a history of donating to both Republican and Democratic candidates. 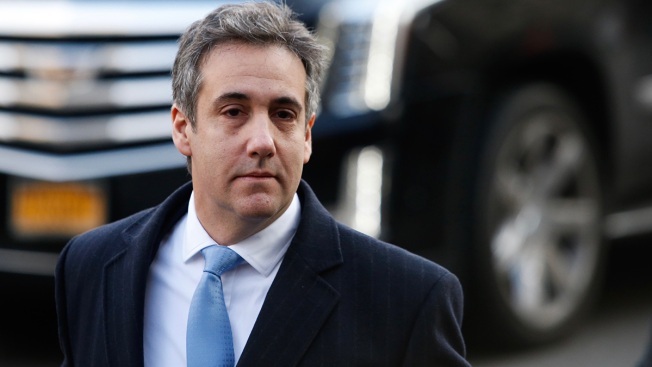 In addition, the sources said Cohen has discussed matters relevant to the Southern District of New York’s investigation into certain members of the Trump Organization and the Trump Inaugural Committee, investigations that have previously been reported publicly.